You can make this necktie hanger for under $1 (mine came out to $0.50). 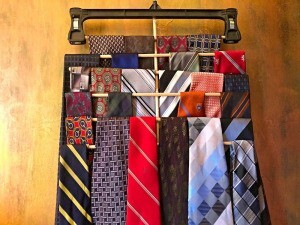 It keeps several ties hanging straight and nicely organized. A great gift for Dad or any special guy in your life! 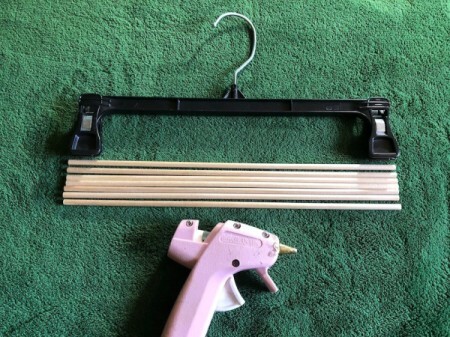 Pinch open the clips on the pant hanger and insert one wooden rod. 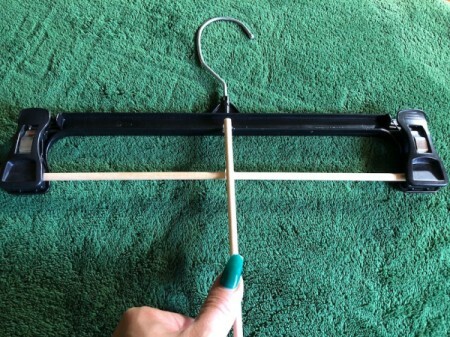 Flip the hanger over and add hot glue to the center of the hanger and to the center of the horizontal rod. Attach a wooden rod vertically on the glue dots. 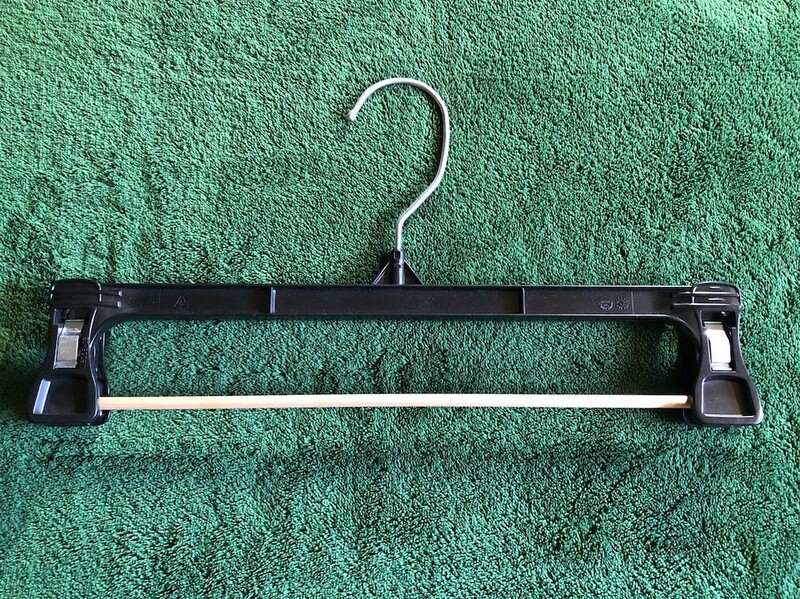 Hold in place until dry. Glue another wooden rod horizontally under the first rod. Hold in place until dry. 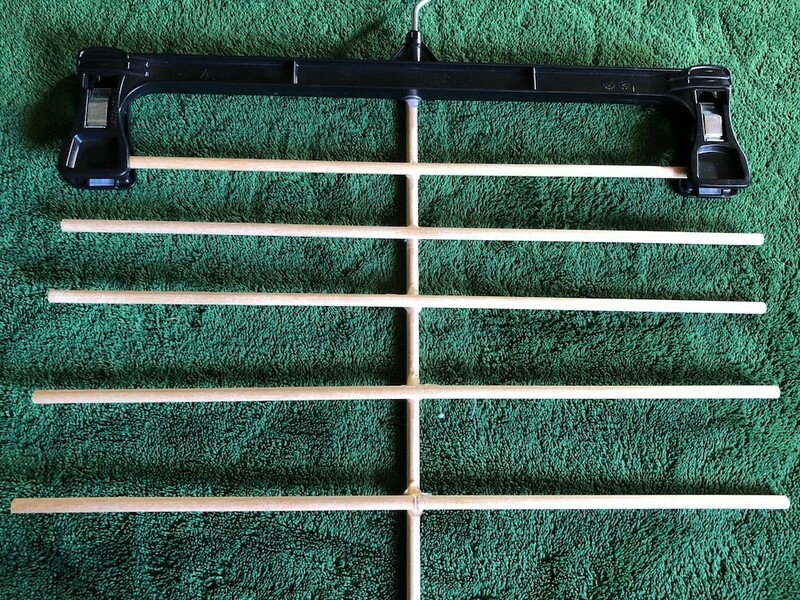 Continue with the rest of the rods. 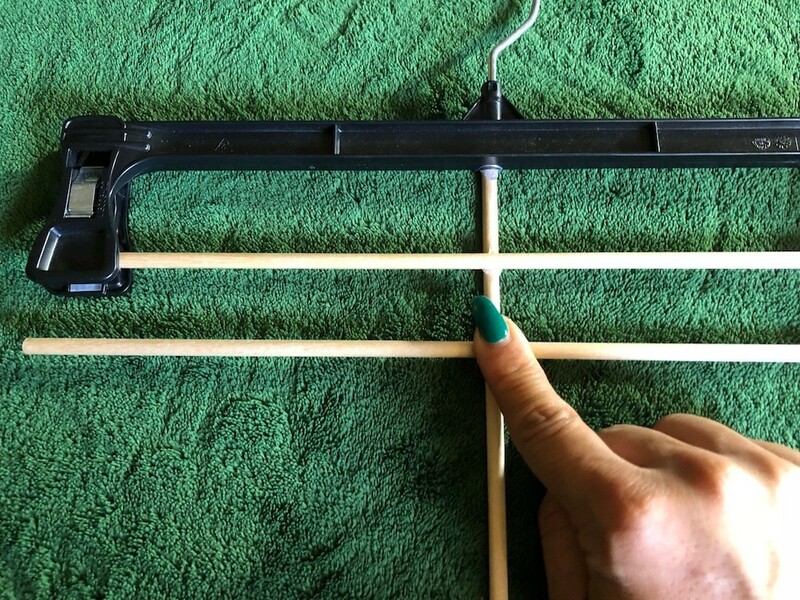 Go back around the glued areas and add more hot glue to strengthen the bonds. Let dry. 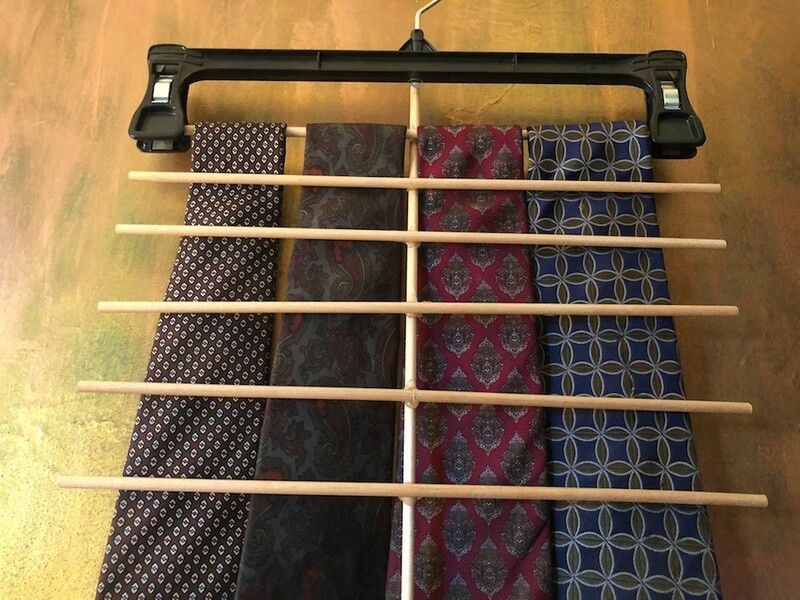 Hang ties on the top row. Tuck the fronts of the ties behind the next wooden rod to keep them nice and organized. Continue adding ties on each rod.